December 8, 2017 December 3, 2017 / Elizabeth T.
As I grow up, I’ve realized that there’s something that we have less and less off, and that’s none other than… time. Time is something that never stops, whether we want it to or not, and though it may not cross our minds all the time, it’s important to remember that time is limited. More often than not, we get caught up in the day to day things, like the stress from our jobs, the difficulties and challenges that we face, and the superficialities of life such as popularity, fame, and fortune, that we forget to actually enjoy every moment that we have. I was reminded of all this by JORD Watches when they reached out to me regarding their classic wooden timepieces. Run by artists, designers, marketers, and minders, JORD is focused on creating timepieces that are modeled after a modern lifestyle. 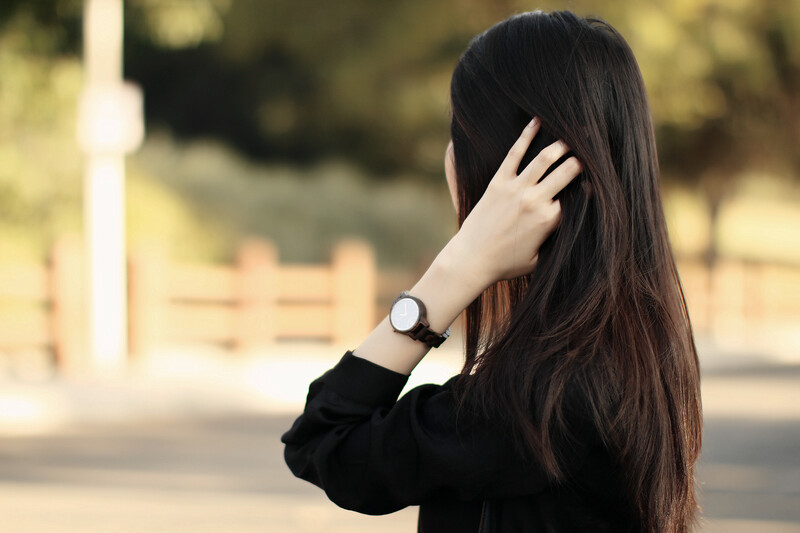 With values of sustainability, efficiency, and experiential living, they make watches for people who don’t just have somewhere to be, they have somewhere to go. 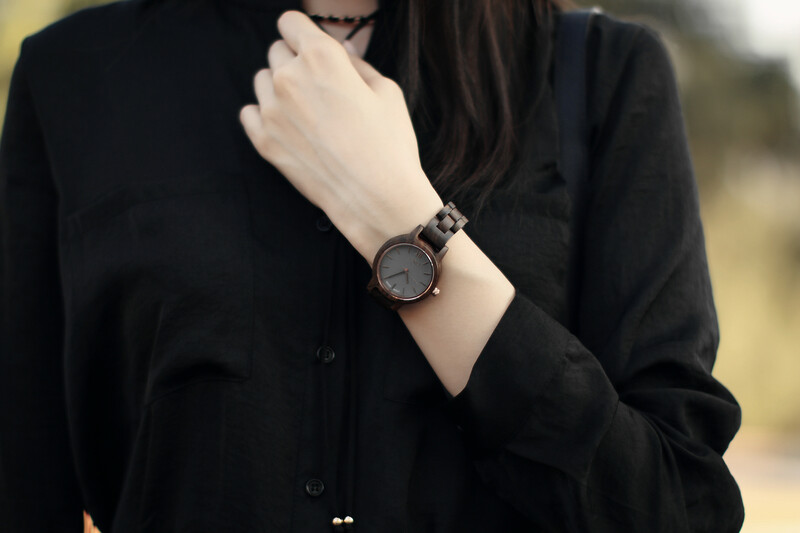 One of their best-selling designs, the Frankie35 in Dark Sandalwood and Slate, is minimalism at its finest. 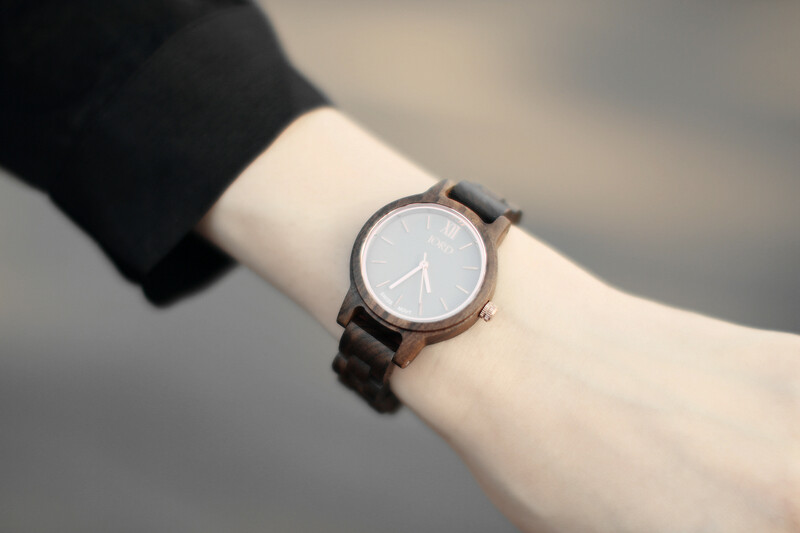 With a foundation of slate and solidity of sandalwood, the ultra slim case is complemented with a straight line strap. The uncomplicated face allows focus, the streamlined shaping offers style, pushing you towards your purpose. Your time is your own. Most importantly, though, the value that stuck with me the most about JORD is the way they cherish time. JORD believes that the value of a watch is not in being able to tell how much time has passed, but in being aware of the need to make that time count. Moments are bigger than minutes and your watch should tell more than time. With our busy work lives and schedules, we some times forget to really enjoy the moments in our life, to really live in the presence and cherish every minute that we spend with our loved ones. In this last year, I’ve had so much pressure and stress from my corporate job that I’ve unconsciously put some more important things and people in my life on hold. And I hate it. I know I never talk much about my corporate job on the blog. And that is largely because I work in a very demanding and stressful industry, but I always wanted Clothes to Youuu to be my creative space and my escape from reality. But at the end of the day, no matter how much I try to separate my creative endeavors from my corporate responsibilities, my emotions from my daytime job inadvertently affect my overall mood. As a result of it all, I’ve found that I’ve been unable to balance everything as I used to because I’m so physically and emotionally drained from the negative energy from my corporate job. And I haven’t noticed that until lately. I’ve been more irritable, and more often than not, I’m in a crabby mood to everyone around me, pushing them away because I want to focus on all of the “tasks” that I have to complete. And that’s not how I want my life to be. I don’t want to push away the people I care about and kill myself for something that is so pointless and unimportant in the long run. Because I’ve realized that in the grand scope of my life, this corporate job will be such a small chapter in my story and won’t be what defines me. And though blogging may seem like just a passion project and my “side gig” to others, it is the work I truly enjoy because it allows me to be creative and true to myself. And most importantly, it’s mine. I know blogging is hard work, with lots of blood, sweat, and tears, but no matter how hard I have to work, it will always be mine. And it was within these past couple of months that I’ve realized that no matter how hard I work for my corporate job, there’s no use killing myself for a job that doesn’t appreciate me and will replace me if they got even half the chance. Because at the end of the day, no matter how hard you work, the company you work for will never be yours. And that’s why I’ve decided that it’s time for me to focus on myself, on the work that I love, and most importantly, on the people closest to my heart. Because at the end of the day, what is the point of having a fancy corporate title if we’re not happy and don’t have loved ones to share our happiness with? And that’s why we have to appreciate and cherish all of the time that we have. Because time is a gift. And this holiday season, you’ll have the chance to remind your loved ones how precious time truly is by giving them the gift of JORD. Thank you for taking the time to read this more personal post today. Hope you enjoyed this little piece on cherishing the time that we have. If you would also like to give the gift of time this holiday season, make sure to click here for your Holiday Instant Coupon Code! 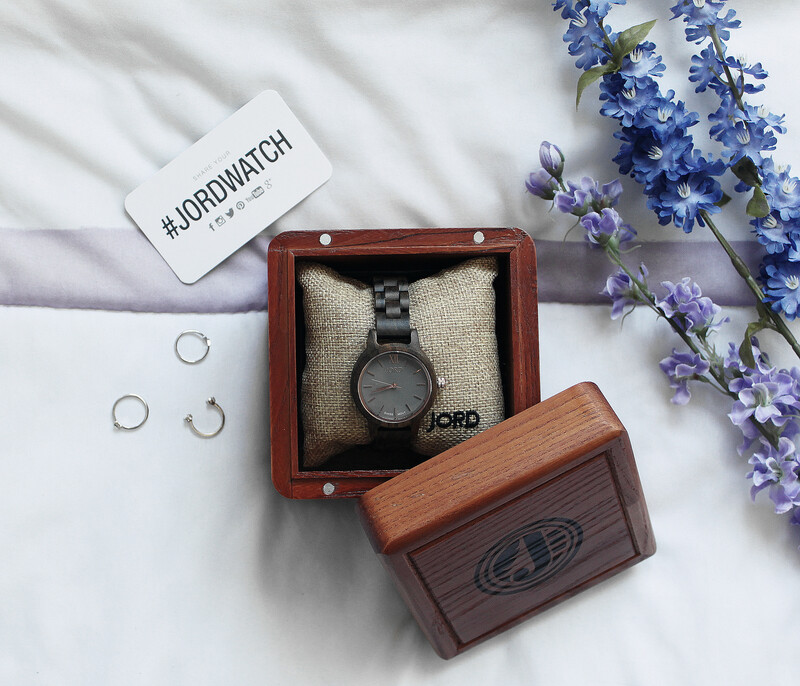 **I received this complimentary product from JORD Watches. All opinions are my own. Nicely written post Mz Elizabeth, how it flows from the time concept to that amazing piece!! 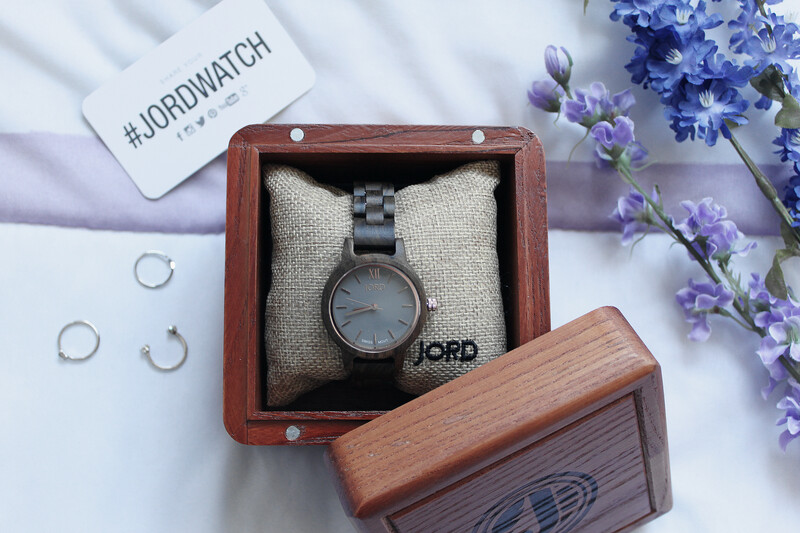 Love your watch from Jord. So perfect for you babe! That Earl Nightingale quote hits me on the spot. Time is important as it passes by quickly because we have work overdue and bunch of stuff to do. I’d love to work on what I love rather than a corporate job that stresses me. I love this watch and great review dear. It sounds like an amazing gift. JORD watch! Haha omg this was actually the first free product that I ever received when I started blogging. Such a beautiful piece babe. It’s sooo elegant and pretty! Thanks for stopping by love ❤ 🙂 Hope you had a great week! What a lovely watch! And yes this is a nice gift idea! Hope you have a great weekend, Elizabeth! I have that same exact watch, and I love it! 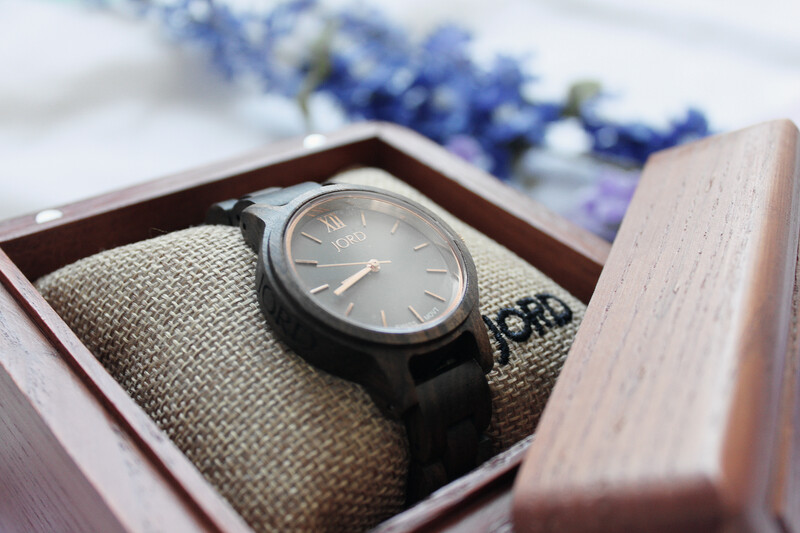 Jord watch is such a beautiful piece! Love how you styled it!